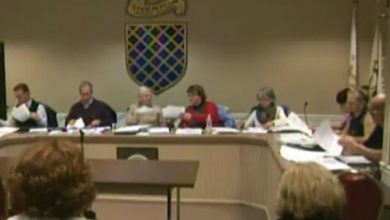 Another comment that one frequently hears from people who think the town ought to have big money in its reserves, at the cost of the highest tax rate in the area, compares Tiverton’s reserve account to Portsmouth’s. What’s funny about this is that the same people will turn around and say that we absolutely can’t compare Portsmouth, with its lower tax rates and higher-performing schools, to Tiverton. 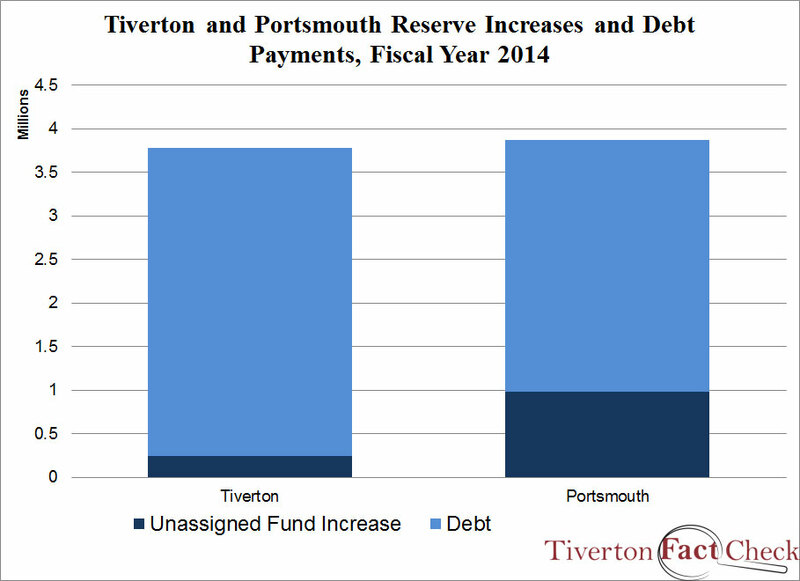 The first question that people should ask about this comparison isn’t whether Tiverton should increase taxes to match Portsmouth. It’s how Portsmouth got to the point that it has more reserves as well as a lower tax rate. It doesn’t work to say that Portsmouth residents are wealthier, because Portsmouth’s town budget is a smaller percentage of residents’ income than in Tiverton. The real history is that, over a decade when Tiverton put itself into debt to build new schools, Portsmouth closed schools. Starting in the 2008-2009 fiscal year, Portsmouth’s tax rate became lower, compared with Tiverton. When the town did raise its tax rate significantly, it was able to put the money in its reserves, rather than paying for operations and debt. Tiverton, meanwhile, was raising taxes every year, nonstop, chasing after its spending. From fiscal year 2007 to fiscal year 2014, Tiverton’s tax rate increased from $9.62 per $1,000 of value on a home to $19.37 per $1,000. Over that same period, Portsmouth went from $10.75 to $14.53. As of last year’s audit, Portsmouth’s annual cost of payments on debt (principal and interest) was $2.9 million, or 4.49% of its expenses. 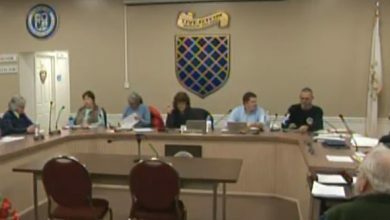 In Tiverton, the number was $3.5 million, or 6.77% of expenses. (That’s before the library debt, by the way.) 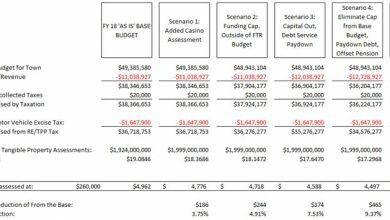 Without that debt burden, Tiverton could have brought its reserves up more a full percentage point every year (from 4.75% to 5.75%, for example) every year with no additional tax increase. Debt is sometimes necessary, and buildings can be a good investment. But it isn’t reasonable for the same people who push that debt on their neighbors to turn around and insist that they also fund surpluses and reserve funds that go well beyond what the charter requires. That’s why Tiverton has the highest taxes in the area. It’s just not fair, and it’s hurting people.